10 Best Apps like WhatsApp 2019: Who is the most secure? Since its acquisition by Facebook, users have been concerned about Whatsapp’s privacy. 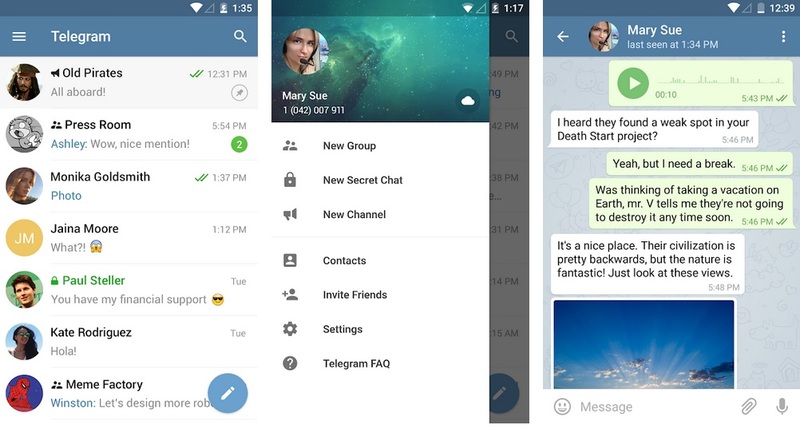 Here are 10 secure Whatsapp Alternatives you should try out this year. Whichever your reason for leaving Whatsapp, we provide you with 10 Whatsapp alternatives that you should try out. Although Telegram has been around for only a handful of years (since 2013), it has become almost as popular as Whatsapp. In March 2018, Telegram claimed to have hit the 200 million user mark. 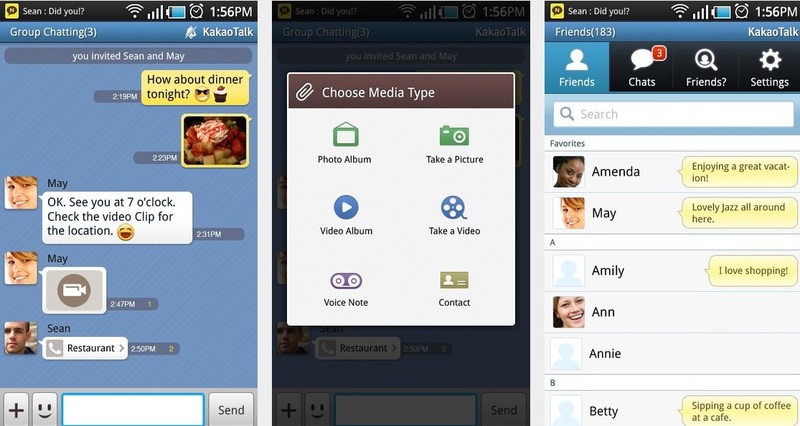 The messaging app supports text, audios, photos, videos, and document sharing. The German-based app was the downloaded app iPhone app in over 48 countries in 2014. The messenger service is cloud-based, thus its users can access content on their computers as well as from a wide range of mobile devices. Groups on Telegram can have as much as 5,000 participants. 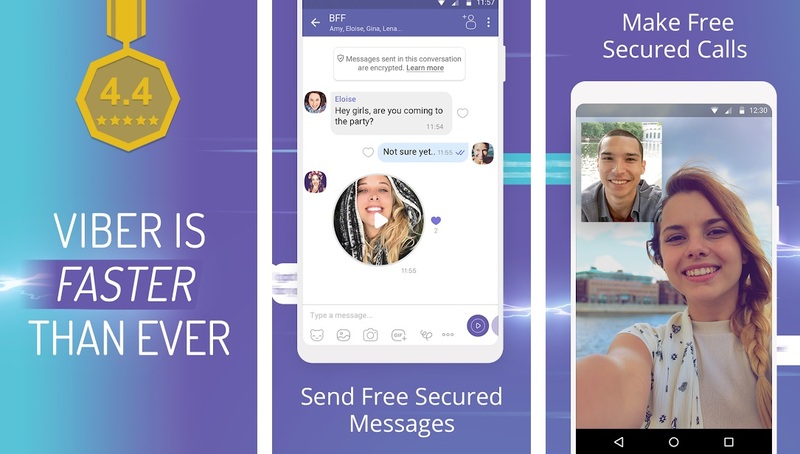 Other features include the ability to share content of up to 1.5GB, end-to-end encryption for secret chats, password lock, public channels, and so on. The app has bots which apart from bringing you pertinent info enable you to play games within the messaging app. You may be like, 5 Free Texting and Calling Apps. If you are looking for a new messaging app with an elegant interface go for Wire. In a world where most messaging apps are more or less similar, Wire brings a new breath of life for its uniqueness. 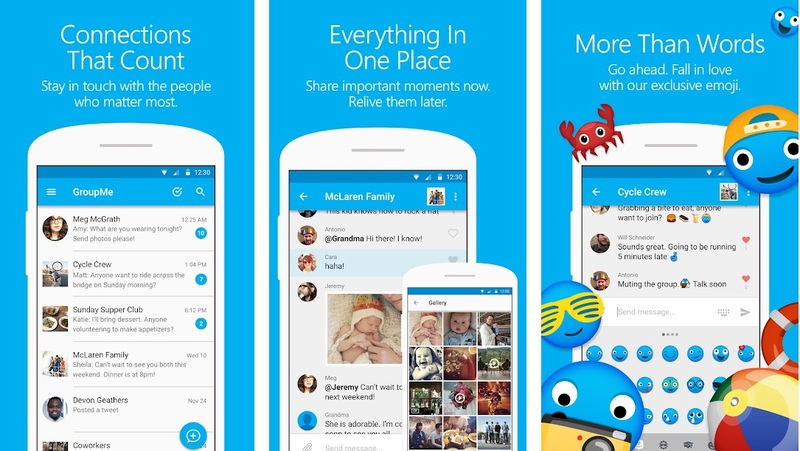 The app was developed by Janus Friis who is also Skype’s co-founder. The app provides you with such functions as timed messages, group video calls, link previews, and self-destructing messages. You can delete messages from the recipients’ devices. You can also purchase the business version of the app which allows you to manage users and create teams and their admins. The Enterprise plan of the app provides you with an APIs integration as well as a self-hosted server. Viber is more or less toe-to-toe to in terms of the registration process and the features. It has a user base of more than 200 million. The app was initially developed for iPhone but it slowly spread to other devices. Viber allows you to share messages, share files, and make calls. Availability: Android, iOS, Blackberry, Symbian, Bada, and Windows. Owned by Open Whisper Systems, this is a messaging app that even the renowned privacy advocate Snowden endorses. 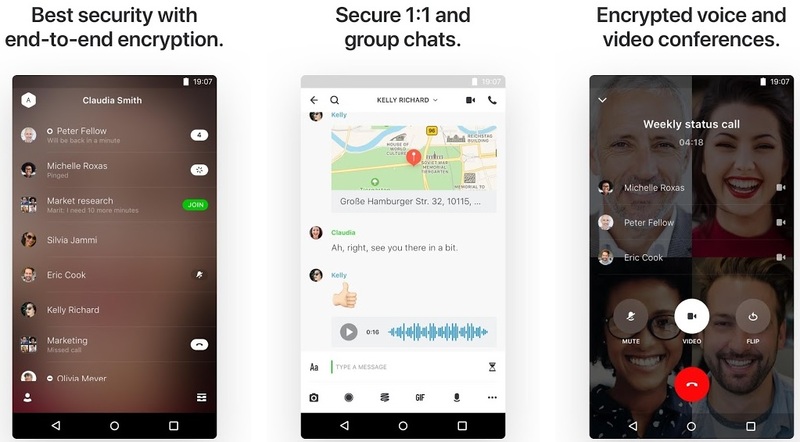 What makes Signal so secure is the ‘Signal Protocol’ encryption tool which is a cryptographic security protocol that provides end-to-end encryption for video calls, voice calls, and message conversations. Unlike Whatsapp which uses the same security protocol, Signal does not collect users’ metadata. It also provides other security features including screen security which prevents a person from taking a screenshot, self-destructing messages and no backup function. Availability: It is available for free on both Android and iOS. 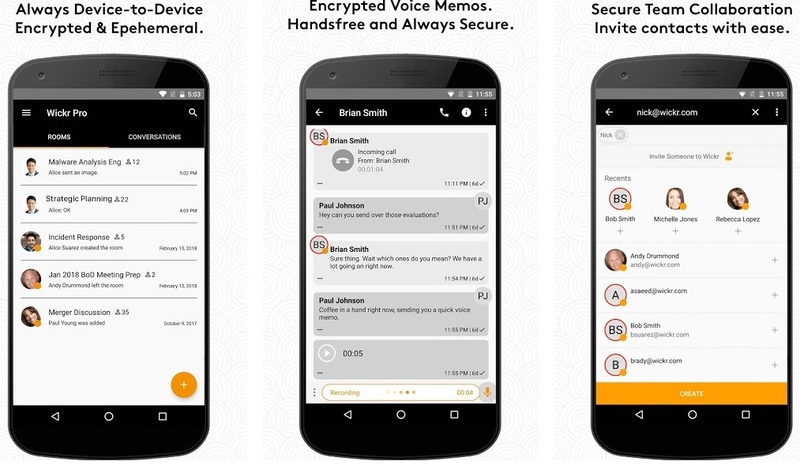 Unlike most messaging apps which use end-to-end encryption, Wickr uses peer-to-peer encryption. This implies that it complies with top-secret privacy guidelines and is ideal for people who intend to keep private business private. Like Whatsapp, you can use your phone number to log in and it has all fun features such as emojis and stickers. Unlike Whatsapp, the app deletes all metadata from the messages you send including the time, location, date, and device information. It offers convenient integration with other apps such as Google Drive, Dropbox, and Box, which allow you to send files directly to your cloud storage. Availability: Android, iOS, Mac, Windows, and Linux. This is another popular Whatsapp contender boasting of over 300 million users. The Japanese-developed app is available in over 230 countries across the globe. 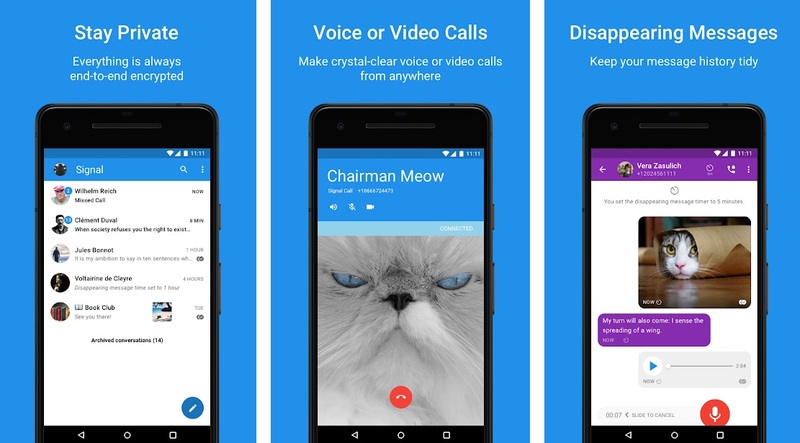 It supports messages, audio, and video calls, including conference calls. Like Viber, the messaging app has a LINE Out feature which enables you to make non-LINE calls to people in diaspora. LINE works on multiple platforms and gives you the option of syncing with your address book. It enables create groups of not more than 500 people. Availability: Android, iOS, iPad, MacOS, Windows Phone, Chrome, and Firefox. Undoubtedly, China has achieved significant milestones when it comes to the tech industry, and WeChat is a perfect example. 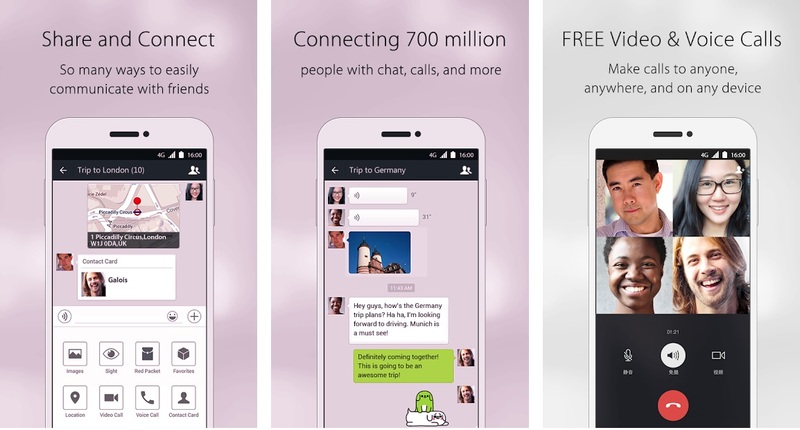 The messaging app was launched in 2011 as ‘Weixin’ and was renamed a year after. Although it has world features, WeChat is not popular outside of China. Indeed, 90% of the total number of users are in China. It offers such features as high-quality video calls, voice calls, and instant messaging. Availability: Android, iOS, Window, Blackberry, and Symbian. GroupMe is a messaging app that allows you to send a single message to multiple people, however, unlike regular phones where a recipient cannot reply to all, the app allows them to do just that. Simply put, this is a group-chatting app. The message recipients do not have to install the app for it to work. Therefore, people without a smartphone can join in the fun. However, if you want to send a message to a single recipient, they must install the app. The app is not confined to messaging. Users can participate in group conference calls and it also has mapping services. Availability: iOS, Android, Windows Phone. 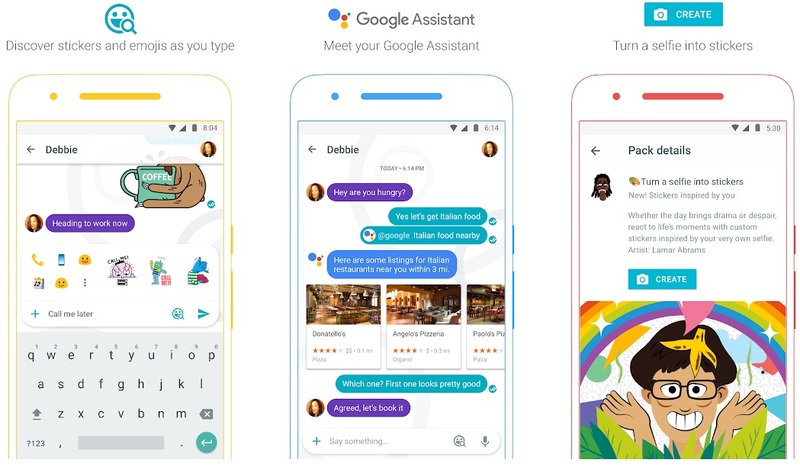 Google launched this messaging app in September 2016, and it differs from the rest as it is incorporated with the Google Assistant. The app works only on mobile devices. It requires you to sign up using your phone number. A text message is then sent to your device for verification purposes. Google Allo allows you to chat with the Google Assistant. For instance, you can tell it your favorite team and should you need to know how it performed, it automatically lets you know. Also commonly known as KaTalk, this is a free communication app that offers instant messaging and video calling along with other features such as gameplay, scheduling, and location sharing. The app uses your phone number to identify you. It currently has a user base of about 150 million people. You can add an unlimited number of friends to a group. Availability: iOS, Android, Windows, MacOS. There are quite a number of Whatsapp alternatives on the internet today, and in the digital age we are living in, more are popping up. However, if you are looking for a secure Whatsapp Alternative, we recommend the ones on this list as we’ve personally tested each. It is unlikely that most of them will match Whatsapp’s user base, but some are quite promising. Try any of these and share your experience with us.